When the British press routinely refers to your buddy Tony Blair as "Bush's Poodle", it's probably not a compliment to call him a "dogged" ally. 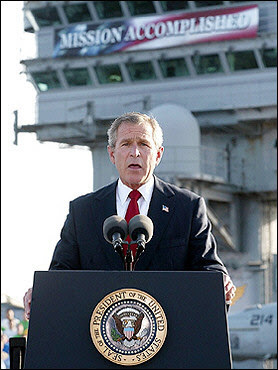 Throughout the day, Democrats lined up to deliver floor speeches observing the fourth anniversary of the president’s speech on the aircraft carrier Abraham Lincoln. 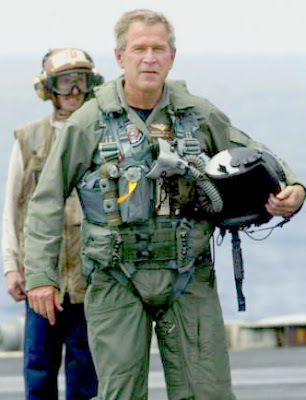 At the front of the House chamber, Democrats positioned a blown-up photograph of Mr. Bush standing on the carrier deck on May 1, 2003.
was a "trumped-up political stunt" with "lights, characters, and action for some fine political theater?